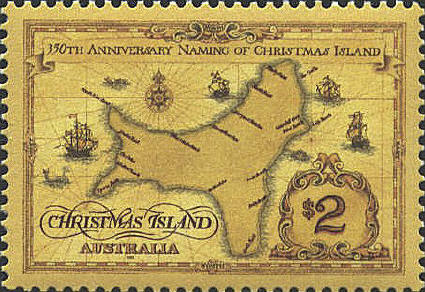 Christmas Island was taken over from Singapore by Australia in 1958, and is now a territory of Australia. 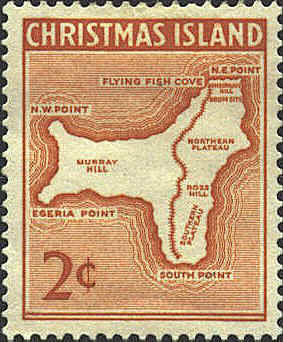 The stamp is the first map stamp issued by Christmas Island. The Cocos Islands are a territory of Australia in the Indian Ocean 580 miles southwest of Java. 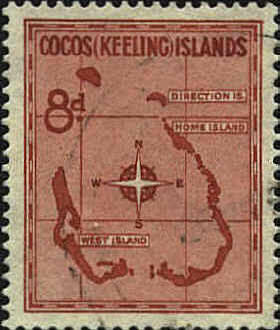 The stamp is the first map stamp issued by the Cocos Islands.